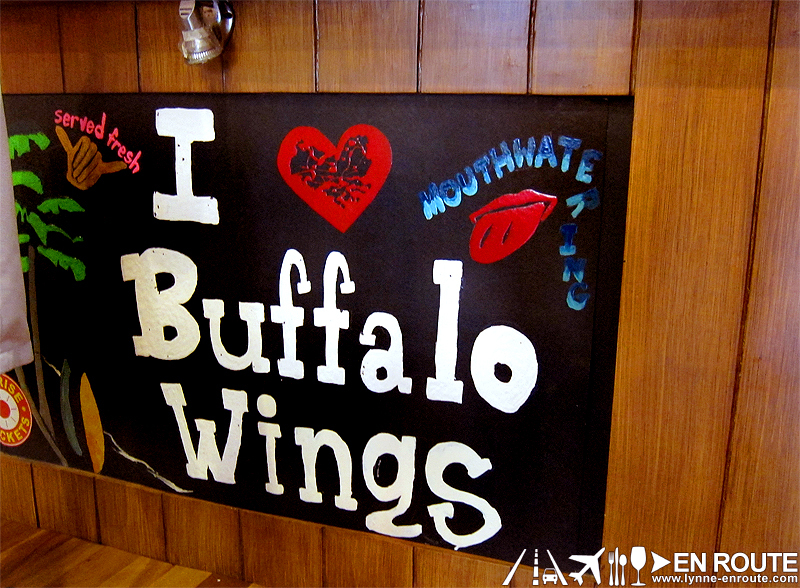 So when making a restaurant where your main showcase is buffalo wings, it has got to feel relaxed, cheerful, and more carefree. 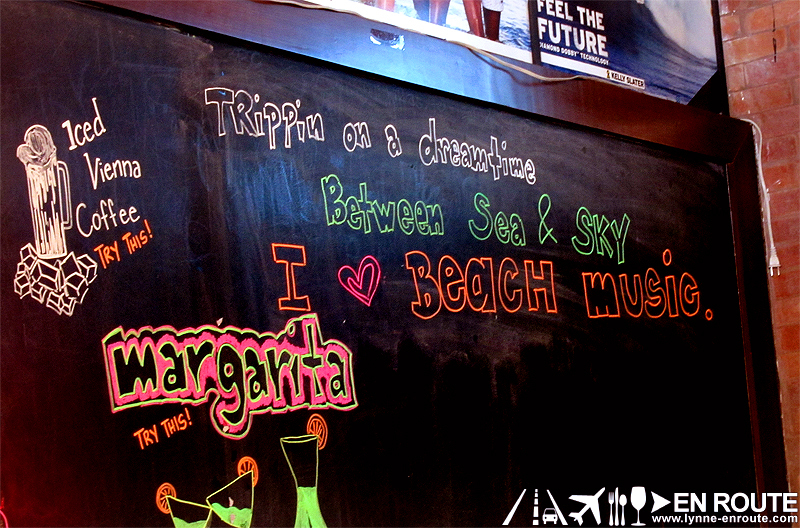 Oh, and we shouldn’t forget that the wings better be good, too! 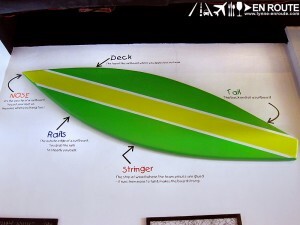 And just from the outside, it looks like it will deliver 😀 ! And this continues all the way inside…. Surfboards (both fake and real) abound in every nook and cranny. 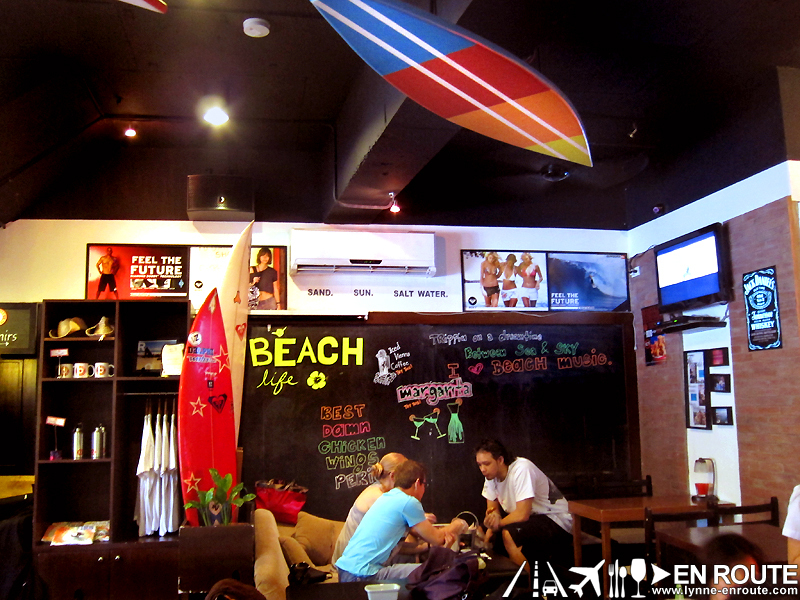 Posters, shirts, and other paraphernalia of the beach and surfing life are scattered everywhere. It really does look like you are transported away from the hustling Ortigas/Greenhills area into a place where you are asked to take it a little bit easy. Mood changing! 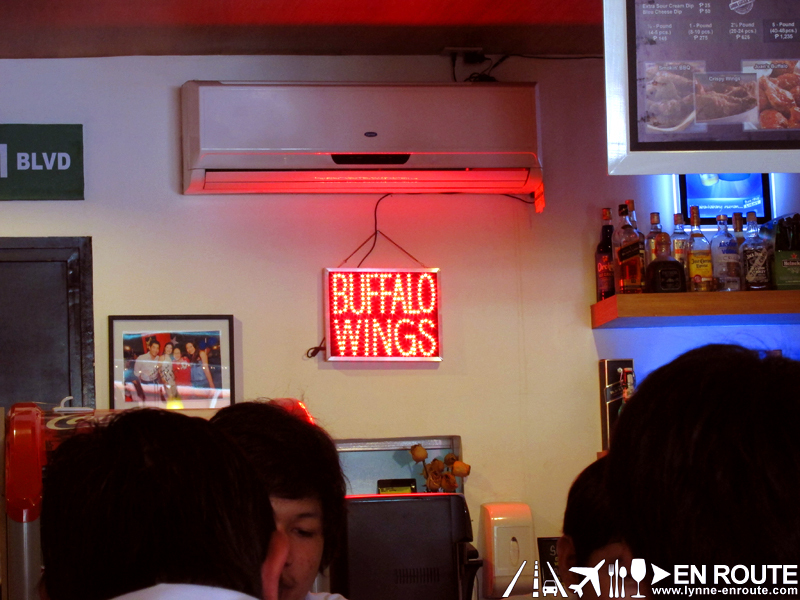 Walk up the counter and order some buffalo wings. 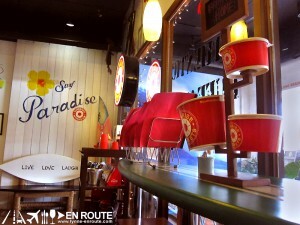 You will be pleased to know that Sunrise Buckets has got all kinds of flavored wings to suit your fancy. 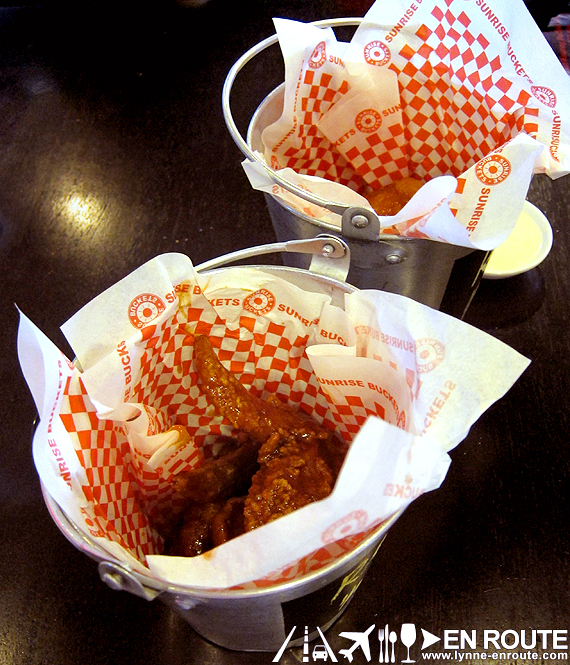 Original buffalo wings, hickory smoked, some flaming hot variants, they got it all. 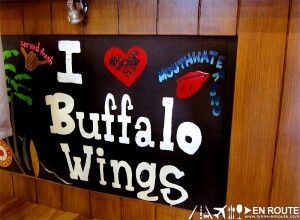 They even have more than just buffalo wings, too! 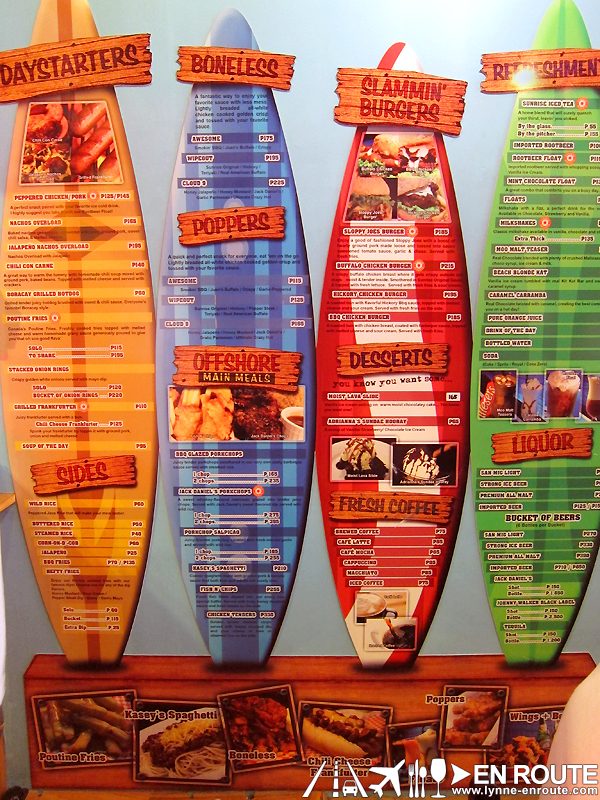 Check the menu out. 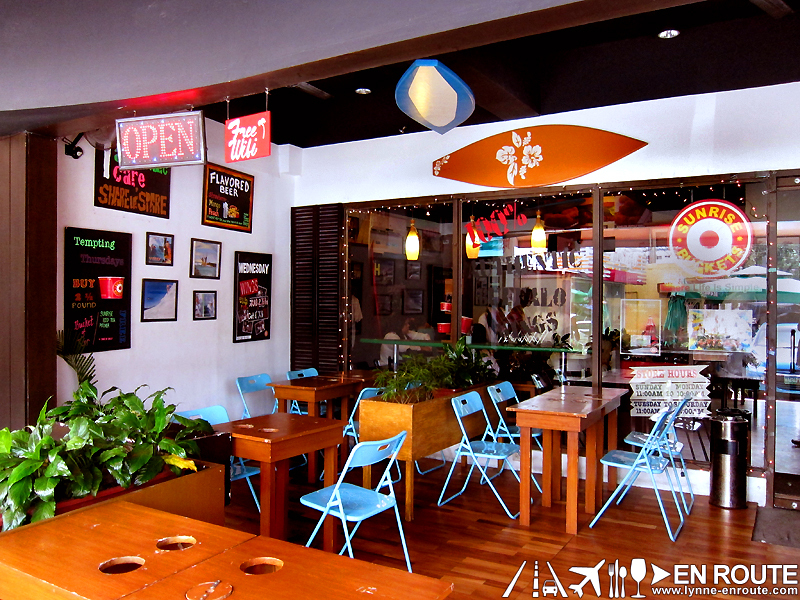 Hotdogs, burgers, full meals, and various refreshments that will suit your casual fancy. The Hickory Smoked had a tempting blend of the smoky, tangy, sweet and barbecued flavor that was just too difficult to resist. Lovers of baby back ribs will be licking their fingers to satisfaction. The Sunrise Original was a bit more true to the taste of buffalo wings: the spicy kick with a hint of vinegar-like sourness while still not completely overpowering the chicken flavor. Goes best with the blue cheese dip that’s served with it. 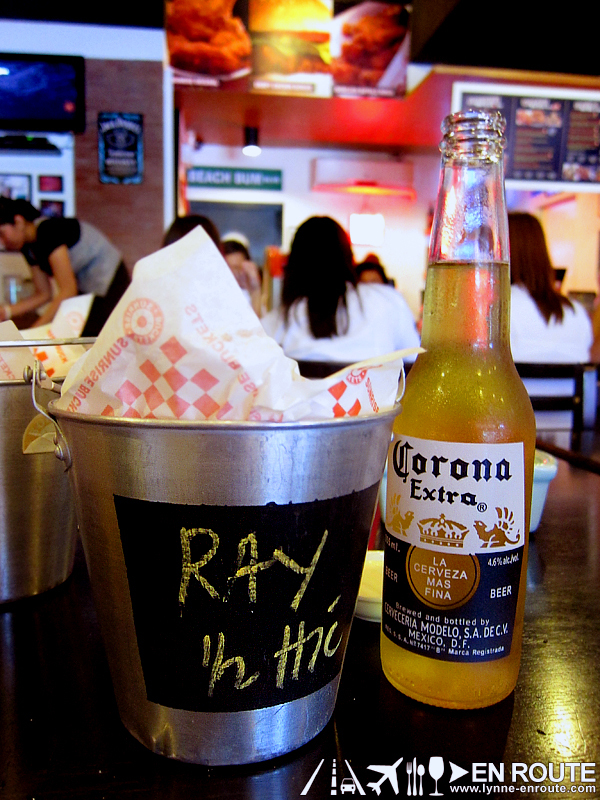 There’s another thing that goes best with Sunrise Buckets buffalo wings: Beer 😀 ! 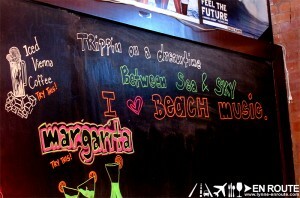 Sunrise buckets serves both local beers like San Miguel Pale Pilsen and Light, and some international brands. 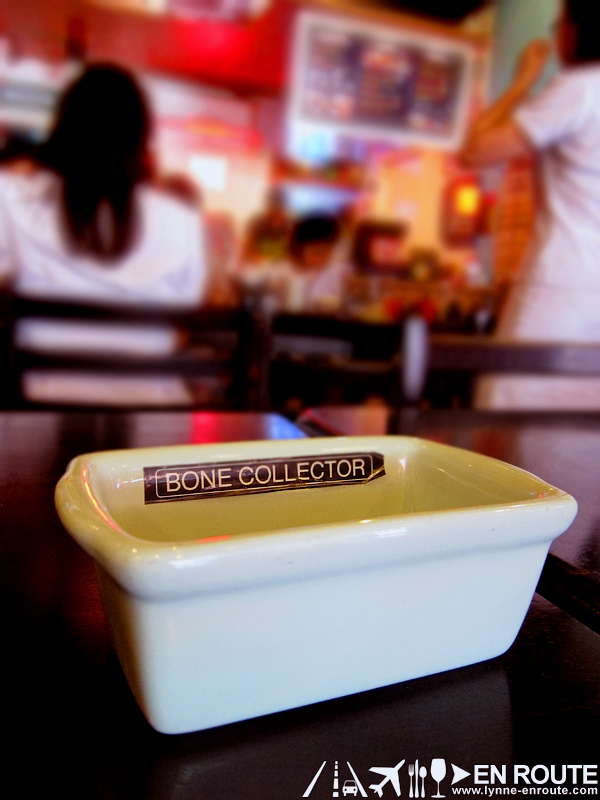 When you’re all done, just dump the bones in the “Bone Collector” on the table. 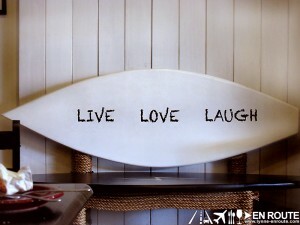 Simple, cute and it works. 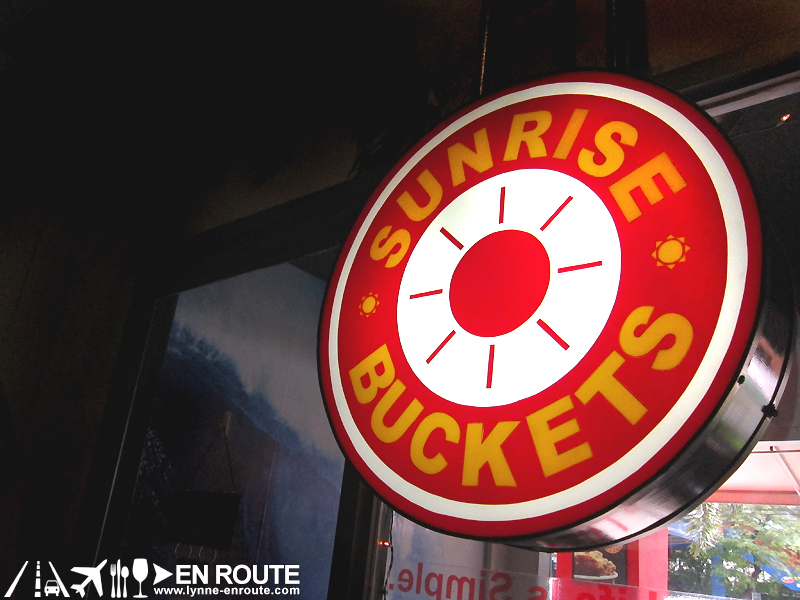 Check out their Facebook page and befriend them to know more about Sunrise buckets. 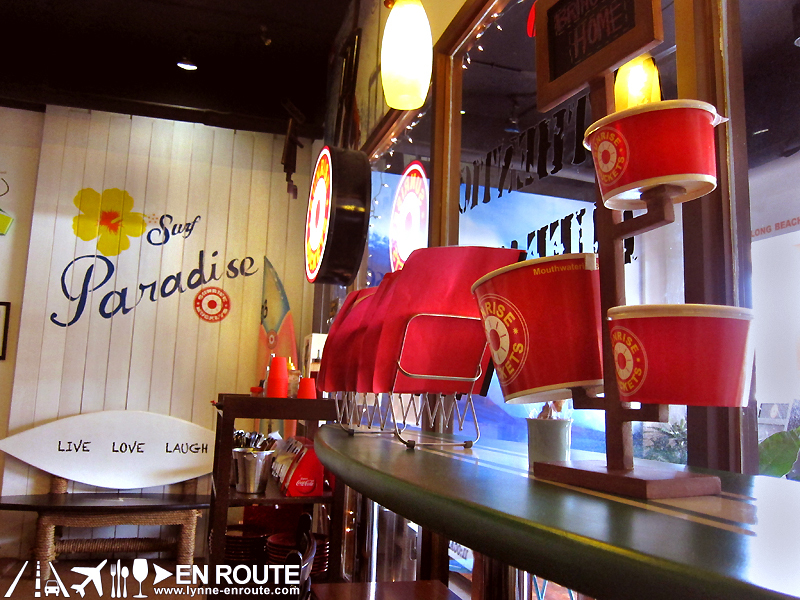 If you are also a fan or have tried other stuff in their menu, share it with En Route in the Facebook Comments below.